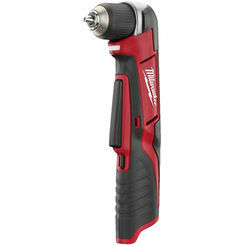 If you are working in a tight space, you may need angle drills to get the job done. 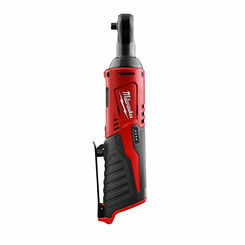 As power drills frequently used in plumbing and electrical applications, right angle drills give you the 90-degree angle you need for drilling in hard to reach spots. 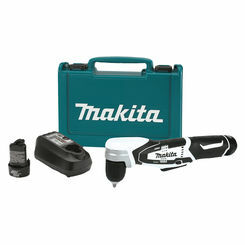 When you shop PlumbersStock you can take advantage of our great prices and save on the best names in the power tool business. 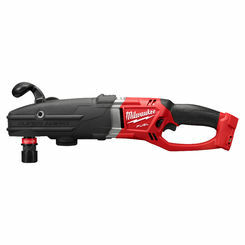 Our Milwaukee Hole Hawg angle drills are unbeatable in terms of quality and affordability. 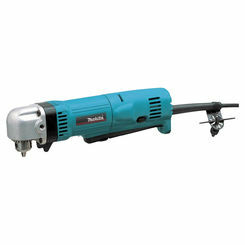 What Is an Angle Drill? 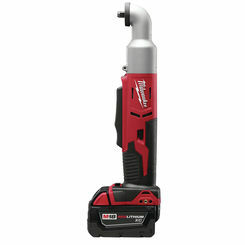 For those of us who do our own electrical and plumbing home repairs, nothing is more frustrating than being crammed into a small space with a bulky power tool that doesn’t quite reach the desired location. Angle drills work to prevent that by featuring a chuck that is orientated at a 90-degree angle so you can fit the tool where it needs to go. 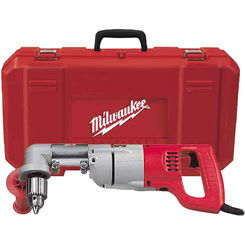 Milwaukee Hole Hawgs are the probably the best angle drills in the industry, so take advantage of our great pricing. 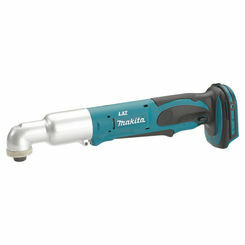 If you’re unsure whether or not you need an angle drill, the following list should help you decide if it’s a tool you want to keep in your toolbox. 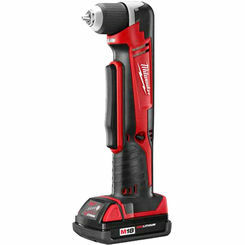 After all, it’s better to have the tool and use it infrequently than wish you had it during a home repair. 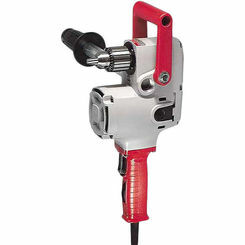 Tight Spaces – By far the most beneficial quality of owning an angle drill is its ability to squeeze into spaces conventional power drills can’t. This is an invaluable advantage as it allows you to reach these spaces without having to hold the drill and at uncomfortable, unnatural angle. 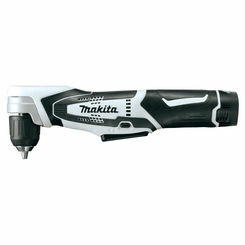 Power (Torque) – Most angle drills come with variable 3-speed motors to give you full control over your project. 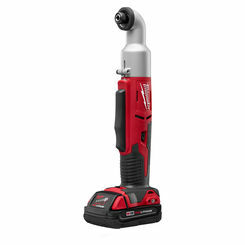 This feature allows the user plenty of power when needed and slow drilling when you don’t. Having variable torque also means your motor will last longer. 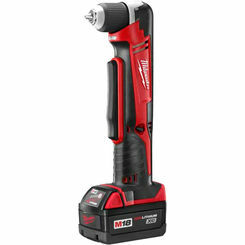 The differing speeds means the motor is less likely to burn out from heavy use. 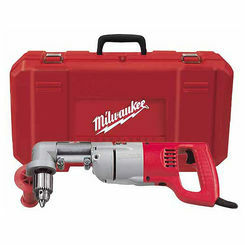 Versatility – Some models of angle drills give you the option of removing the drive head and using the chuck as a regular drill. 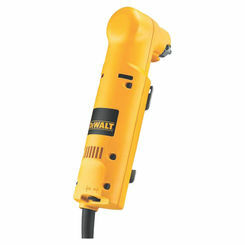 This makes this tool extremely versatile, and a good replacement for your regular drill. Extensions – Even with having the proper angle to fit into those tight spaces, sometimes the tool isn’t long enough. Thankfully, extensions exist to close the gap between your tool and the desired location, allowing you to drill virtually anywhere. Extensions come in many sizes and can reach up to 30 inches. 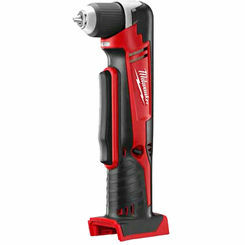 Control – If you plan on drilling a lot, having a comfortable grip handle can make all the difference and prevent wrist fatigue. 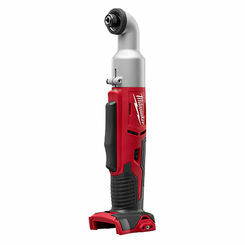 The side handle on the angle drill gives you more control when in use, as well as offers a twistable grip and trigger for ultimate management. 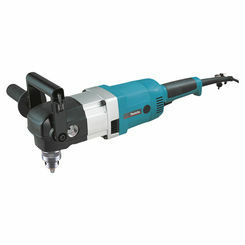 Additionally, the handle of an angle drill is wider and meant to be held by both hands to evenly distribute the weight of the tool. 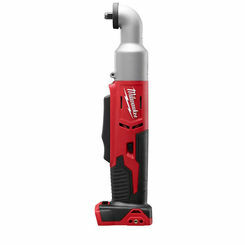 Angle drills are must-have tools for those of us working in the electric and plumbing industries. 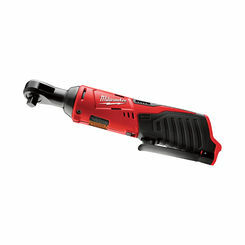 Unlike conventional power drills that only face forward, right-angle drills are designed to maneuver through those tight and otherwise unreachable areas. 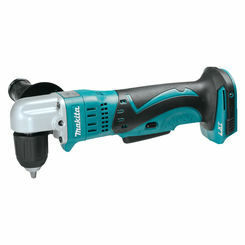 Adding an angle drill to your collection is a smart choice, especially if you’re the handyman around the house. Additionally, with the proper extension, no space will ever be unreachable again. 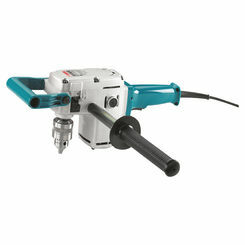 Purchase your right angle drill at PlumbersStock and save big by taking advantage of our low prices on all our tools. If you have any questions, contact our expert customer service team by chat, email, or phone and let us guide you in the right direction.